I’ve only been here half an hour and things have already got much too exciting. The plane is packed with delegates to an international PASAI conference, (whatever that is) in the capital, Funafuti. The prime minister of Fiji is on board too. I’m getting used to hobnobbing with the politicians out here. There’s no-one waiting to meet me –I’m getting used to this as well – at Funafuti Airport. I’ve already gone through the tiny rickety customs hall accidentally, without my bag. The ladies waving signs on the road outside tell me it’s no problem as my accommodation, Filamona Moonlit Lodge (sounds so romantic), is just round the corner, three minutes’ walk. A kind man helps me wheel my bag – it’s very sandy on the path. (So much for the shared transfer vouchers provided by the travel agency.) We arrive at a balconied building, shaded by frangipani, next to the baggage claim. A lady at a table outside looks distressed. ‘Sorry, we should have come to meet you. We thought you were with the conference people, they’re all coming over together. Are you booked in?’ This sounds ominous. She has a large hard-backed diary which she gestures at. Reading upside down I see something that looks vaguely like Rogers, scribbled next to the words VIP room. ‘That’s me!’ I say quickly. ‘Good’ she replies and I am shown upstairs to a huge room with a pink plastic framed mirror in the attached bathroom (so far not too awful), one hanger on a hook and a long balcony with a grandstand view of the airport and the plane I have just decamped from, almost within touching distance. There’s a satellite dish on the balcony but no television set in my VIP room. So much for.tv. Someone has thoughtfully left some disprin on the chair. Scouting around I discover that I can wander right out onto the runway of this international airport if I wish. Except, it’s raining again. I’m not doing very well with the weather, and it’s the dry season. How wet is the wet season in the Pacific? I’m desperate to see if I can fix up something to do tomorrow so I sidle back up to the desk. There’s a very irate Australian gentleman there shouting because he doesn’t have a room, although he booked in April, and demanding that whoever has mistakenly been given it be thrown out immediately. The landlady is still horribly vague about who should and shouldn’t be here. I sense it might be expedient to save my questions till later and return to my room, to establish squatters’ rights. Venturing out again cautiously, I inquire about a boat trip to the marine conservation area, which I have read is a must-see. Filamona (if that’s her name?) immediately goes into confused damsel in distress mode. She’s very busy and I should go and sort it out with the council at their offices. She gives me the vaguest of directions, but I set off gamely in the drizzle. She goes back to sit behind her desk and gaze at the airport. Like Nauru, most of Funafuti is arranged along the runway, but unlike Nauru that’s about all there is of this island. It’s a long thin elbow and the main thoroughfare seems to be the side of the runway itself. Most of the population chug up and down on motor bikes. The young men have quite a penchant for trendy hairstyles, buns or the short at the sides long on top look. The rest of the townsfolk seem to be sleeping on wooden bed/tables under corrugated tin roofs. There’s a yellow sandy beach strewn with lumps of coral to the lagoon side and sea to the other. Government House is situated directly behind the airport ‘terminal’. The Bank of Tuvalu is in a hut on the corner. There are some scruffy shops, but I can’t see any sign of council offices. Directions elicited from other locals aren’t much clearer. Eventually, I’m rescued by an Australian plumber on a motor bike who drops me there. It’s a good 20 minutes’ walk away, in a parallel road. ‘Everything is further than they say, he tells me. ‘Rent a bike. They’re’ only ten dollars a day’. I feel the island might be spared that disaster inducing scenario. My chauffeur tells me he’s working on the new airport terminal, just behind the old one. Sure enough, I confirm there’s a building site there. When the concrete mixer isn’t operating the workmen have their transistors on full blast. I’m doomed. Dinner is fish curry chosen from a menu of three choices on a post it note. There’s rice, frozen vegetables, onion, cubed tuna and no discernible curry flavour whatsoever on my heaped plate. There’s a cultural performance taking place at the maneapa (open sided meeting place) adjacent to the Lodge to entertain the conference delegates. (I’ve discovered that they are all auditors general.) This also operates on island time and eventually gets underway at 9.15 pm. I haven’t had an invitation but I’m beckoned in and there’s no way I’m going to sleep while it’s underway, in any case. The dancing, drumming and singing is riotously joyful and, unlike many cultural performances, feels totally authentic. Nearly all the audience wear flower garlands in their hair and several of the older ladies jump up and join in, beaming. It’s tradition to spray the dancers with perfume to show your appreciation and this is even tolerated by the bare chested males. There was a rat on my leg last night. I woke up, shrieked and kicked it off and it scrabbled around for a while. A young man bravely came to see what the problem was and we watched it climb the wall and disappear through a cable cavity under the air conditioning unit. He blocked it up with balls of silver foil, but I couldn’t sleep after that. I couldn’t bring myself to switch the light off. This sort of thing makes me wonder why I travel at all. To compensate, it was a glorious sunrise, bright reds reflected in the large pools of water on the runway. I have breakfast with two Aussies attending the conference, after apologising for waking them up. One of them, from the IMF, is the guy who was shouting. He doesn’t mention it. The other, Steve, from the World Bank, is going to help me plan my Micronesia trip. The man from the council hasn’t turned up to confirm my boat ride as agreed, so I assume it’s off. That’s a shame, as there isn’t even an island tour to do here. I might go see the pigs at the end of the runway. Unlike other Pacific islands they keep them separate here, to minimize the effects of the smell. Today is definitely improving. Chris from the Council has turned up after all, with a boat and a boatman and it’s stopped raining. We are ferrying two Italian tourists, Serena and Orlando, to Funafale, a small traditional island on the south of the atoll and then heading west to the marine conservation area surrounding more islets on the rim of the atoll. I’m still trying to get my head round the geography of Tuvalu. 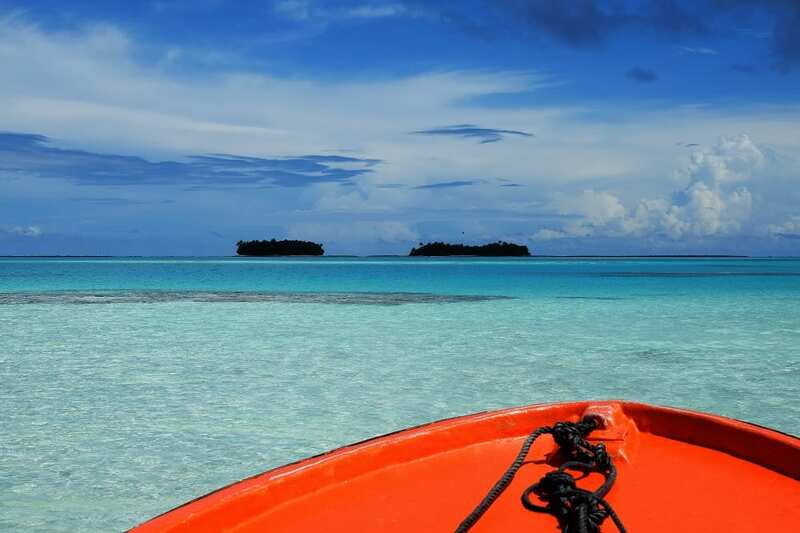 This is Funafuti atoll, the island I’m staying on is called Fongafale and the town is Vaiaku. The sun stays out most of the way, we spot a manta and a few shoals of fish, the sea is like a warm bath and the islands picture perfect little Robinson Crusoe dots. 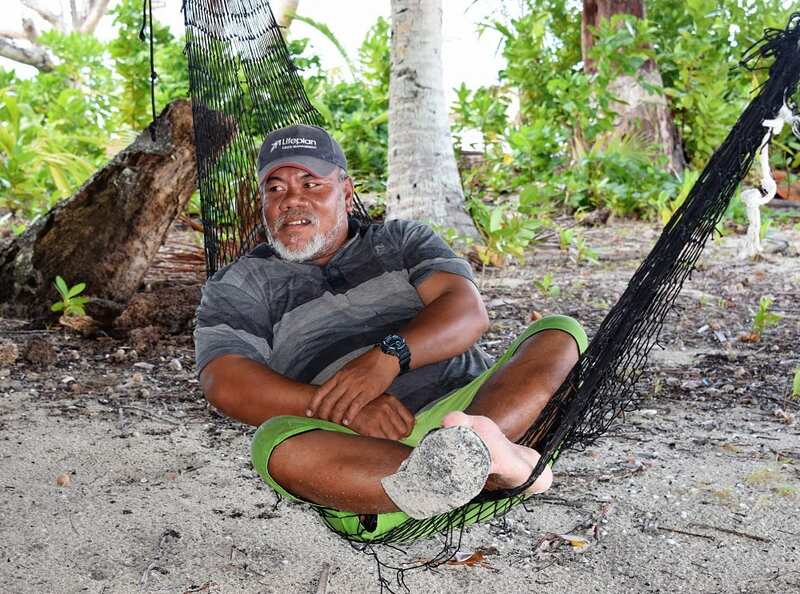 Chris and the boatman spend most of their time in hammocks or sitting in plastic chairs in the sea. Between rests the boatman cuts green coconuts, lops off the tops and even fashions me a spoon, out of the skin, to scoop out the flesh with. I swim, snorkel and stroll round the islets accompanied by squawking terns. Lonely Planet says the area is sublime. This time they’re right. Back at Filamona I’m trying to catch up on my sleep (again). There’s a football game taking place on the runway and the radios at the building site have been on since 7.15 this morning. I’ve also discovered that the shower in my room doesn’t work at all (I’ve been avoiding it as it’s only cold water) and the lady at the desk is the manager and sadly, she’s not named Filamona, she’s called Penieli. Down for dinner at seven, but there’s no chef. He’s gone out to buy fish, having forgotten I’m here. The conference guests have all gone to a banquet. Penieli says surely I can wait a bit for food. It’s early. She is eating her fish and rice supper as she speaks. The chef comes back and says there is pork curry for dinner, but first he has to go and pay for the fish. Two Kiwis take me out for dinner in a Chinese restaurant. One of them actually has a car, so we drive there. The ultimate luxury. My feet are on fire with mosquito bites from yesterday’s islands. There’s always something wrong with Paradise. At my prompting Penieli reduces my bill by a miserly five dollars to compensate for no shower. She says the rat was ‘beyond her control’. I don’t agree, as it came in through the whacking great hole by the air con, but she’s had her chance. Trip Advisor here I come. I wheel my bag on my own (noting that paid transfer again!) down the side of the runway through arrivals and customs to the check in desk. This is definitely a first. Now I have three hours to wander before take-off. Perhaps I should look for those pigs. Strolling down the runway before an international flight is also a first. Airport staff are out sweeping the tarmac with brooms, in anticipation of the great event- the twice weekly landing. The odour and squealing leads me to the pigs, right at the end of the runway. Some piglets have escaped and are frisking about in the bushes. That could be interesting, when the plane lands. Back at the airport, screens have been erected to create a departure lounge. I chat to Christine, from Paris who’s also travelling the Pacific. 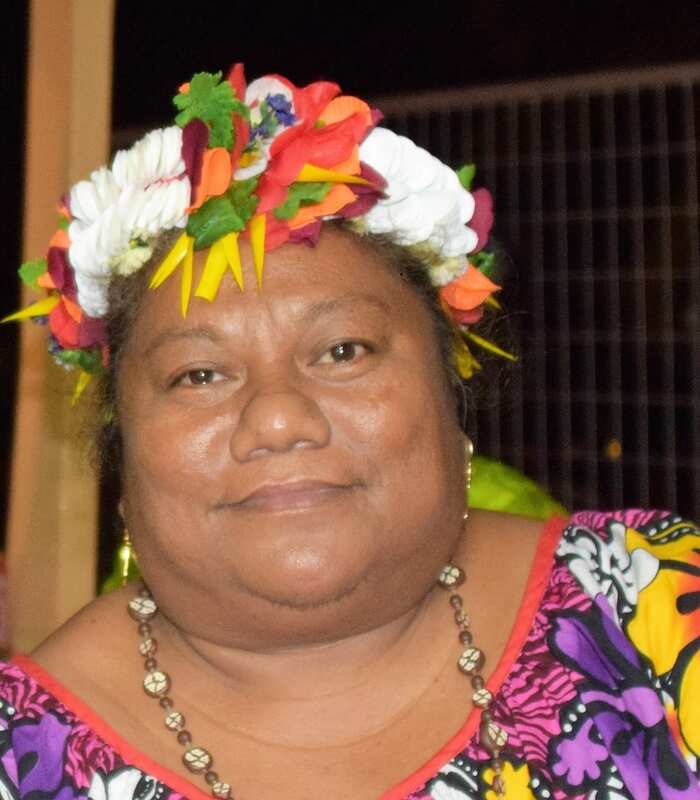 That’s four people on Tuvalu who came out of interest rather than for business reasons. An absolute deluge. A tannoy announces the imminent arrival of the plane, warning the locals to stay off the runway. The prime minister is on board again. He and his security man wear ties bearing the Fijian flag. Very smart. This time he and his wife have the whole of business class to themselves (eight seats). 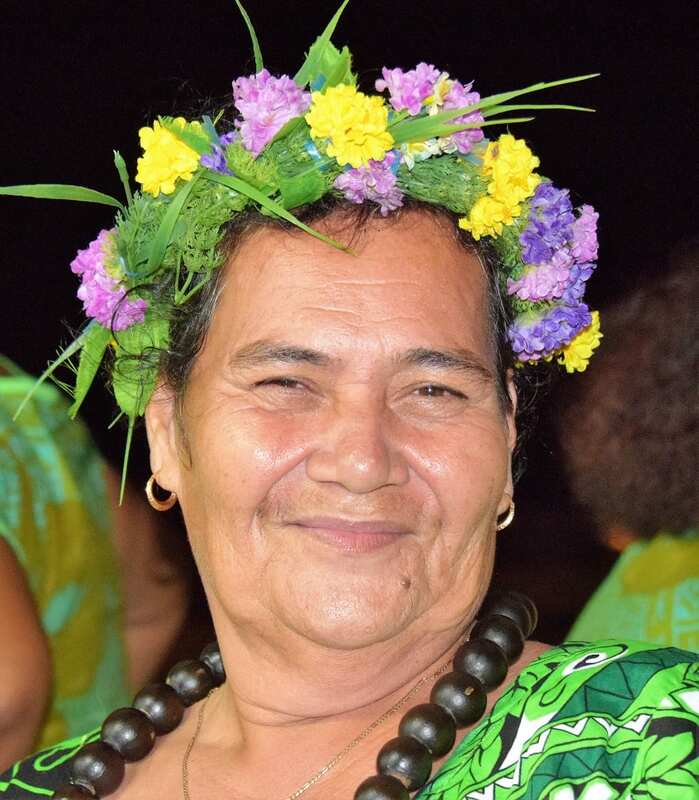 To see more of my photos of Tuvalu, visit this page. 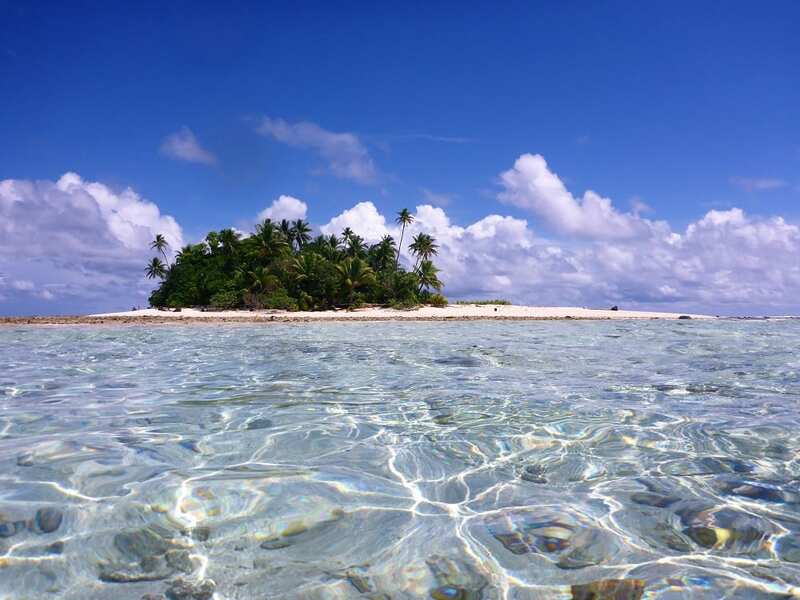 Tuvalu is the second most isolated island in the world ? and consists of three reef islands and six true atolls. It has a total land area of less than 10 square miles making it the fourth smallest country in the world. Tuvalu has a very low elevation and rising global sea levels threaten to wipe the country out altogether. The Ellice Islands became a British protectorate in 1892 and were annexed by Britain in 1915–1916 as part of the Gilbert and Ellice Islands Colony. They were separated from the Gilberts in 1975, given home rule, and renamed Tuvalu. Full independence was granted on Sept. 30, 1978, but Tuvalu remained part of the Commonwealth. In 1979, the U.S. gave Tuvalu four islands that had been U.S. territory. 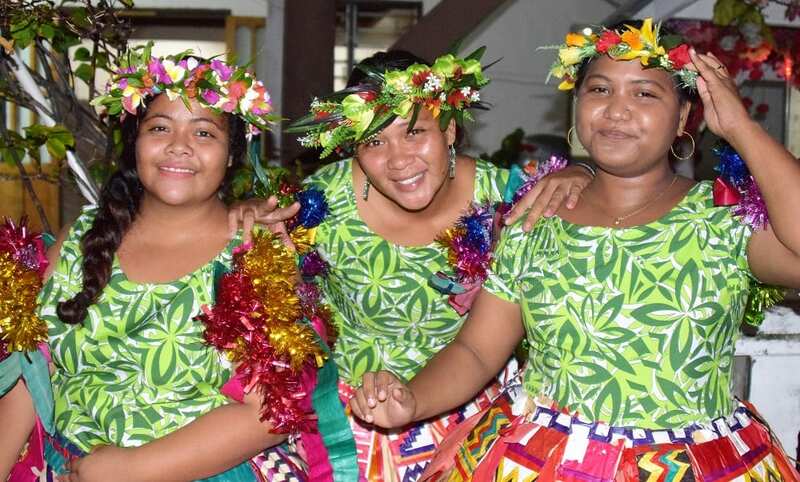 Its small size and population, along with lack of natural resources, makes Tuvalu the smallest economy in the world by GDP.